Hey kittens! So I am so excited to blog about this, it's such an amazing product! It's Lime Crime's Pink Velvetine! This is a new product and it's so stunning. 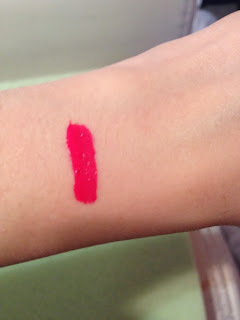 Velvetines are lipsticks that go on like gloss and dry matte! This is the second velvetine I have purchased, and I will be purchasing the other one as well! Check out my Black Friday/Cyber Monday Haul!